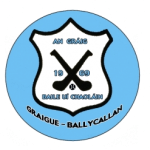 On Easter Monday, April 20th the Graigue Ballycallan Junior B team came up against Barrow Rangers on a windswept day in Tom Ryall Park. The second half started similarly to the first, with Barrow Rangers scoring another point. However, Graigue Ballycallan dug in, defending well and creating numerous chances. This showed on the scoreboard as the gap between the teams began to narrow. Philly Heafey scored some excellent points from wing forward and Paddy Kennedy continued to convert the frees. Despite this resurgence though, Graigue could not pull ahead as Barrow Rangers never let their heads drop. An intense game, epitomised by some hard hits from both teams and a late red card for Barrow Rangers, ended as a draw. 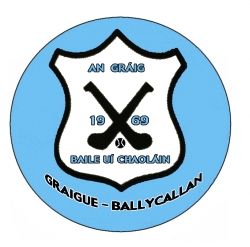 Full time score: Graigue Ballycallan 0-14 Barrow Rangers 0-14.